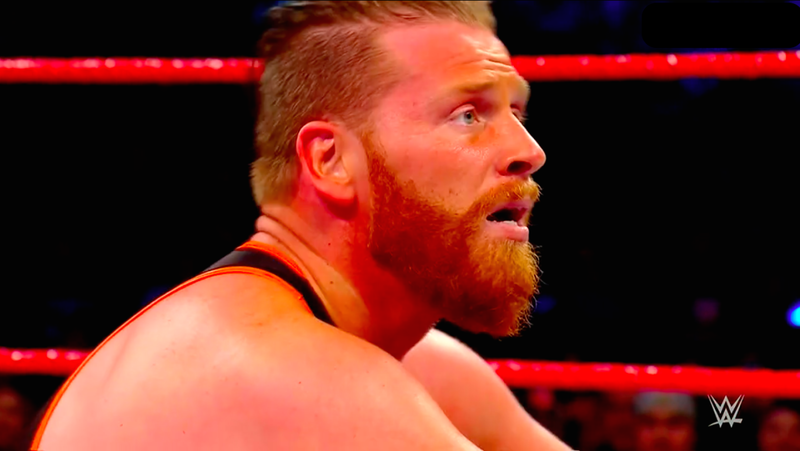 The Big Takeaway: Curt Hawkins’ losing streak continued with yet another loss against Rhyno, and Mustafa Ali defeated TJP as the pair had a really strong match in the main event. Curt Hawkins continues to put over his losing streak on social media, referring to where he will be #streaking every day. While he lost here on Main Event to go 0-157, he is currently 0-161. Hawkins even posted on Twitter this past week that he lost twice in the same night in Reading, Pennsylvania. As usual with these Hawkins matches, it was perfectly fine. Despite the streak, Hawkins is a good in-ring performer and a very precise technician. Rhyno took the first half of the match and made it look easy -- until Hawkins was able to take the advantage when both men had gone outside. Hawkins beat Rhyno down and performed a pretty impressive snap suplex on the big man, then Rhyno hit him with a Samoan drop and they both went down. They traded near falls until Hawkins looked like he was going to come out on top. He squatted in the corner, ushering Rhyno to get up, but he was caught in the charge and nailed with a spinebuster for the win. This was a very impressive athletic display from start to finish. TJP hasn’t been on Main Event for some time and it was a joy to watch these two work together. After the opening minutes that were 100 mph of mat work, flips, and kip ups, TJP settled the pace and turned nasty. He pushed Ali outside through the ropes, using his boot with Ali narrowly missing the steel steps. TJP then proceeded to throw him around, smashing him face-first into the dasher boards and posing for a dab as we were sent to a break. TJP went after Ali’s knee after the break. A failed superplex attempt allowed TJP to missile dropkick off the top rope onto Ali’s left knee. Ali did everything he could to avoid TJP getting to it, but he eventually locked in the kneebar as they teased a submission finish. TJP went for a figure four but was kicked off out of desperation. Ali then rolled through TJP into a bridging pin and managed to steal the win. The nice wrinkle in the finish was how Ali still sold his knee, only using one leg in his bridge and keeping the injured leg raised so as not to put pressure on it.